Rhinoplasty is a surgical procedure designed to reshape the nose. Beverly Hills rhinoplasty and facial plastic surgery specialist, Dr. Stephen Pincus, offers rhinoplasty, revision rhinoplasty, facelift, necklift, cheekfold lift, and eylid and eyebrow surgery at his Marina del Rey and Beverly Hills cosmetic surgery clinics. Thinking of changing the shape of your nose? Read on….. It is said that the nose is the facial feature most noted after initial eye contact with another individual. Being centrally located, it should blend harmoniously with the other facial features and not draw attention to itself. People seeking to change the shape of their nose do so because of several reasons: The nose has been an unattractive feature that may be affecting their career in modeling or acting; it may be crooked or asymmetric (from birth or injury); or it just may not fit in with the rest of their face as the individual feels it should. In this last instance, such preoccupation with the nose may be realistic, unrealistic or misplaced. On profile, a small chin or short upper lip will make a nose look bigger. Also, some individuals seek corrective nasal surgery to establish a more youthful look. With aging and gravity, the cartilage in the tip of the nose starts drooping, producing an apparent lengthening of the nose with a slight hump. Finally, some people have breathing difficulties, headaches or sinus problems due to deformities within the nose. Many times these internal deformities will express themselves externally as well, as with a very deviated septum. In this instance, correcting the deviated septum will help straighten a crooked nose. Form and function should always go hand in hand, and the form of the nose should never be altered at the expense of function. Actually, it is generally found that an aesthetically pleasing nose works well, too. When discussing nasal surgery, several terms always appear. Rhinoplasty or “nose job” comes from Greek derivatives: “rhino” which means nose and “plasty” means reshaping. If the internal midline structures of the nose, the septum, need to be straightened, we call it septoplasty. Within the nose, on the side walls are several small bones which have a very vascular lining. These bony structures are called turbinates. By swelling up with blood, they can affect airway resistance, humidification and heating. They are responsible for nasal blockage during” colds” or “allergy attacks.” Certain abnormal states can exist which leave these structures abnormally enlarged and then partial removal (SMR or sub mucous resection) may be needed. When discussing nasal surgery, several terms always appear. 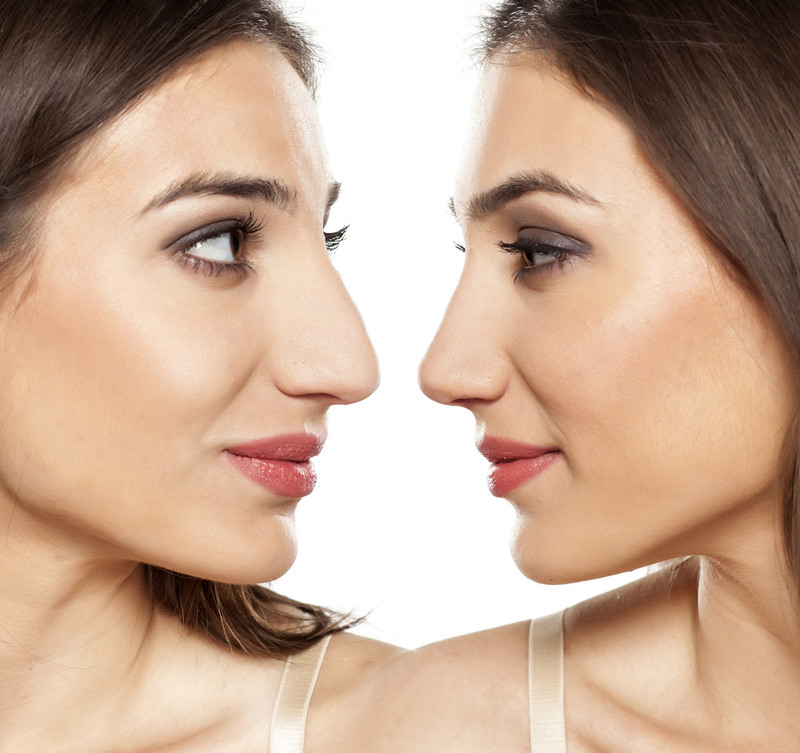 Rhinoplasty or “nose job” comes from Greek derivatives: “rhino” which means nose and “plasty” means reshaping. If the internal midline structures of the nose, the septum, need to be straightened, we call it septoplasty. Within the nose, on the side wcisions are made entirely within the nose. Generally, bone and cartilage over the upper two-thirds of the nose is reduced in height and is also narrowed. Occasionally, augmentation rather than reduction is necessary if too much has been removed from some prior surgery or if it has been depressed from previous trauma. Augmentation is also used many times for the “Westernization” of certain oriental noses. Finally, the tip cartilages are made more delicate and aesthetic by means of selective resection, rotation and reshaping. 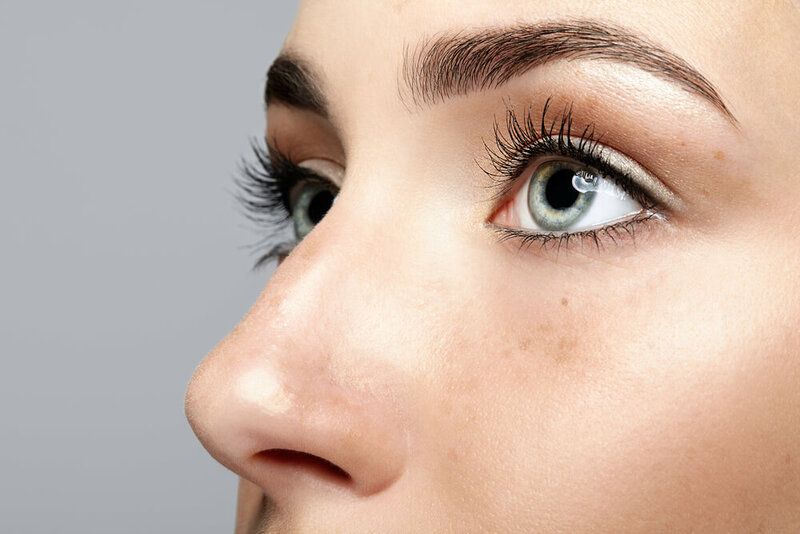 The ideal nose is generally considered to have a well defined tip which projects slightly above the plane of the remainder of the nose when seen in profile. Women usually prefer a slight slope over the remainder of the nose, whereas men generally prefer a strong straight profile. Furthermore, the angle at which the nose is tilted upward also varies. The ideal male nose shows an angle of 90° to 100° between the lip and nasal tip, while the female has an angle of 100° to 120°. 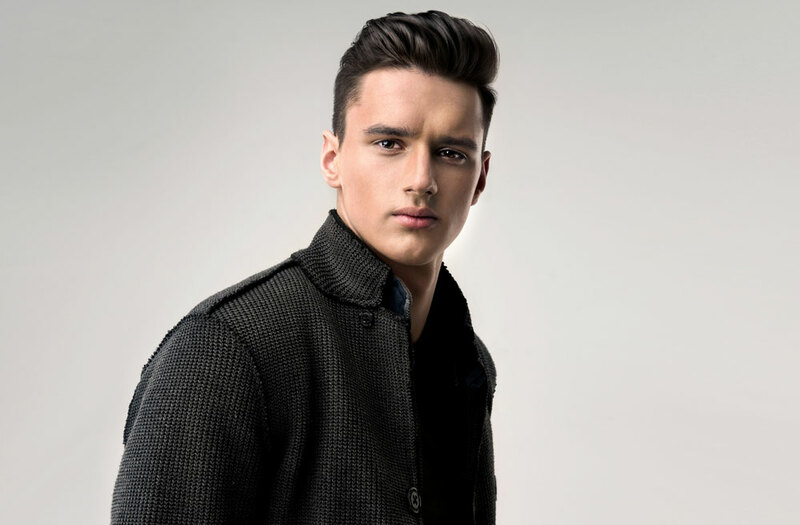 Taller people require less rotation to avoid excessive “nostril show.” Additional facial cosmetic procedures such as chin augmentation or reduction and upper lip lengthening or shortening may also be needed to establish facial harmony. 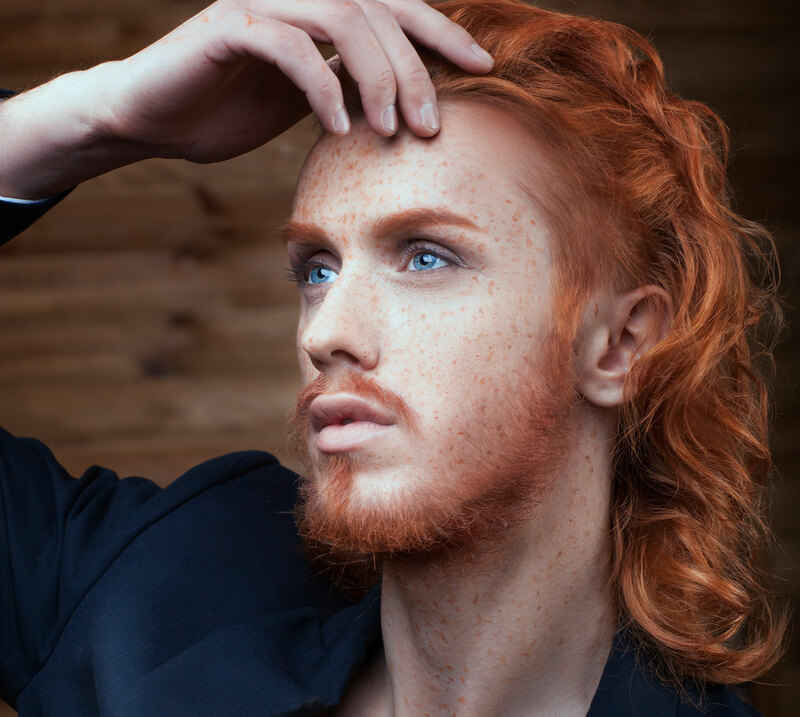 While certain ideal aesthetics are always kept in mind, it is most important to have a nose that is natural in appearance and fits the individual. With the advent of video-facial computer analysis, many of these proposed changes can be performed on a frozen picture displayed on a TV screen. This gives the patient an excellent idea of how much reduction, narrowing or rotation the surgeon has in mind. However, the changes displayed should be realistic since the computer can do things which the scalpel cannot. The actual surgery can be performed with the patient under general anesthesia (totally asleep) or under intravenous sedation (twilight sleep). In either instance, it can be done in a hospital, surgicenter or office operating suite. Depending on the complexity, the procedure will take between one and three hours. Following surgery, the patient has a very small intranasal packing and some form of protective external splint. Usually, the packing is removed the next day and the splint five to seven days later. Surprising to most patients is the fact that pain is either quite minimal or nonexistent. There is usually some swelling and bruising around the eyes which is 90% resolved within the first week. At this time, most people are healed enough to return to work. Most of the usual daily activities can be resumed at this time. However, vigorous exercising or straining is to be avoided for three to six weeks. In some patients, especially those with thicker skin, a certain amount of swelling will persist for several weeks after surgery. Generally, this is more noticeable to the patient than to those around him. Also, it is somewhat worse upon arising each morning and gradually diminishes throughout the day. Head elevation during sleep and avoidance of prolonged sun exposure helps this last bit of swelling to resolve. In summary, it should be stressed that the goals of rhinoplasty should be realistic and personal. Being an operation that can be either subtle or quite dramatic, it is something that a person should want to do for himself and not merely to please someone else. All questions should be thoroughly answered prior to surgery, and the surgeon should be quite willing to show many examples of his work in this field. To learn more about rhinoplasty, please feel free to view the information provided on this website. Rhinoplasty candidates in Beverly Hills should contact Dr. Pincus to schedule a consultation appointment. Consultation is an important part of the rhinoplasty process as it allows the doctor a chance to examine your nose and facial features and to discuss your options, goals and expectations. Contact Beverly Hills rhinoplasty specialist Dr. Stephen Pincus today for more information or to make your appointment.